Samsung announced Galaxy Round, first smartphone with curved display. Curved display is a biggest highlight of the Samsung Galaxy Round. It has 5.7? Super Flexible AMOLED display with Full HD resolution (1920 x 1080 pixels). Phone will be available in Korea on October 10. And others feature are quite similar to Note 3. It has 3GB of RAM and device is powered by Qualcomm Snapdragon 800 SoC with quad-core Krait CPU clocked at 2.3GHz. Android 4.3 Jelly Bean is used in it to run the device. 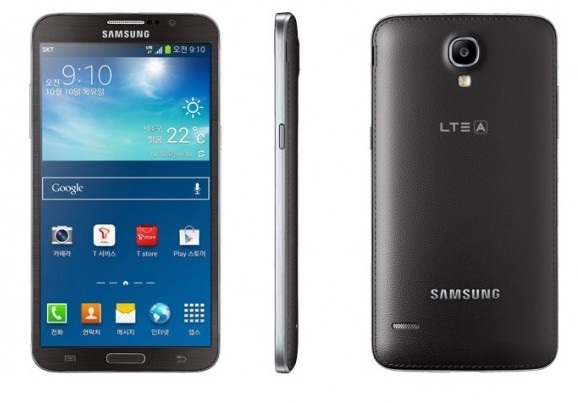 Galaxy Curved comes with 32GB of internal memory with microSD card slot. Body dimension of Galaxy round is 151.1 x 79.6 x 7.9mm and weight is 154grams. 13MP camera is used in back side and 2MP in front side. Samsung added couple of tricks to utilize the curved screen of the device like Bounce UX for controlling the device music player by tapping on its sides, and Gravity Effect for interacting with the display by rolling it.